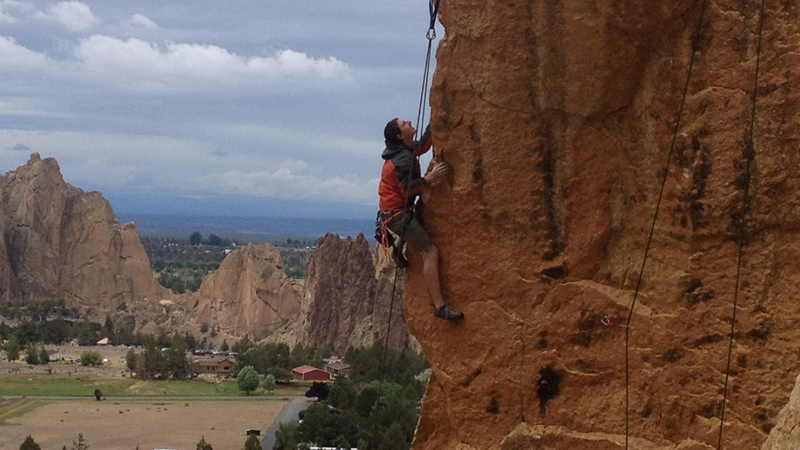 Smith Rock Climbing Guides, Inc. has been in business since 2003 and is insured and permitted by the state of Oregon. The founder is certified by the American Mountain Guides Association and currently has five other guides on staff with a range of certifications and training. They provide climbing instruction and guide services for visitors of all ages and experience levels, seven days a week. Prices for any of their services are based on the number of people in your group and whether you choose the half-day or full-day option. In order to provide the best experience possible for your ability and comfort level, they won’t mix you with another group unless that is what ​both groups request. They can customize the day to your specific interests, and are permitted to guide all areas of Smith Rock State Park. Their full-day trips have no time limitations and their top-quality equipment is supplied at no extra charge. You can reserve online or by phone, as well as cancel your reservation 24 hours before your trip without losing your deposit.